Today was our last day at Meteti, performance day. Watching the students prepare to go on stage was truly amazing. The performance went absolutely amazing, and the work that the students have put in over the past few days was evident. They have all grown so much. After warming up, the older group began practicing their leaps and turns that we had been working on with them earlier in the week. This made me so happy, and so proud. In other words, seeing them working so hard made me realize that even though we are leaving, we are still leaving a lasting impact. I firmly believe that dance has the power to change lives. I surely changed mine. I think my favorite part of the day was listening to one of the boys from the older group named, Lincoln, gave a small speech after the performance. He gave it in both English and Spanish, and the gratitude he showed warmed my heart. Throughout the performance, seeing the smiles on each child’s face and they energy in their movements was wonderful. No words can accurately describe the joy in that room today. 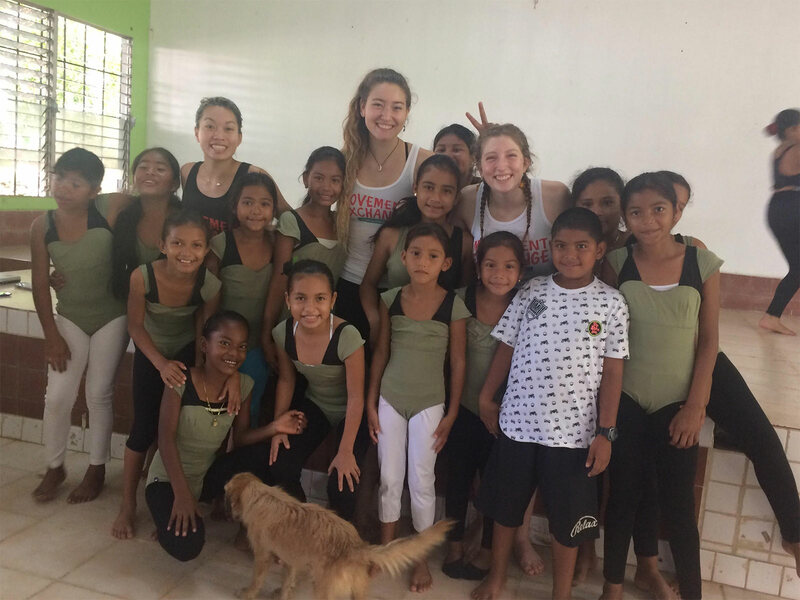 All in all, this trip has truly inspired me to continue using dance as a way to connect with others. It is so empowering and it can bring an entire community together and I find that entirely amazing.